This week we are bringing the Guild Alliance system which will allow you and your fellow players to use your powers combined in an alliance of up to 100 to help in Conquest and Node Wars! Next, swimming has been improved. This new system should make swimming a bit more intuitive while you’re diving deep for all that sunken treasure squirrelled away in the vast ocean. Also, we have added story quests that will allow players to instantly enter Aakman and Hystria. This will allow those who frequent these areas to save some time while searching for the entrances located in Valencia. You can also enjoy the #BDORemastered Festival where you can post and share any screenshots, streams, or an user-created content with us and have a chance to win rewards! Finally, we have added some info about upcoming Node War rule changes so be sure to check those out! All the info for these and other changes are in the full patch notes so read on and thank you for supporting Black Desert Online! -During the maintenance on 9/5, a special title ‘#BDORemastered’ has been sent out to all adventurers! Please claim the title before 10/5 23:59 UTC. 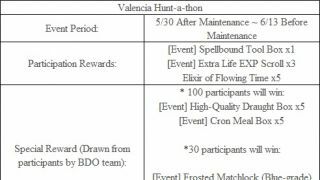 -Using the special title and switching your game to Remastered Mode or Ultra Mode, you can participate in one of three events under the #BDORemastered Festival. -On your own social media account, please post screenshots, video clips, or music related to the Black Desert Remastered content. -Please send us a recorded version of your stream related to Remastered mode. ◈Loyal Attendance Rewards have been refreshed. -Log-in every day to claim you awesome attendance rewards including the new Ancient Spirit Dust! -If there are any unclaimed attendance rewards, you will have a chance claim them back on weekends. On Saturdays and Sundays during the event period, log in and play 1 hour to get 1 more unclaimed attendance reward. This is not possible if you have already claimed maximum amount of attendance rewards offered. 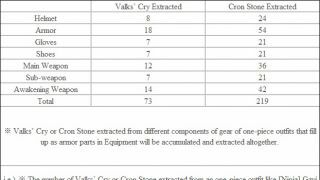 -Fixed the issue where Day 18 and Day 25 attendance rewards on ‘Valks Attendance Rewards’ stated in-game that Valks’ Cry x5 will be given when it is actually Valks’ Cry x10 being given. ◈Guild Alliance has been added. -An Alliance can have a maximum of 10 Guilds or 100 members. A minimum of 10 members and maximum of 90 members are required of Guilds seeking to join an Alliance. And this Guild Alliance can participate in Node/Conquest Wars. -Guilds who are already occupying a Node or Territory cannot join the Guild Alliance, and Guilds cannot join Guild Alliance while a Node/Conquest War is already under progress. -The founding Guild of the Guild Alliance becomes the ‘Supreme Guild’ and the Guild Master of the Supreme Guild can create the Guild Alliance using the Guild tab (G). The founding Guild Master of the Supreme Guild has to create a name for the Guild Alliance. Afterwards, the founding Guild Master can click on the ‘Add Guild’ icon to register Guild Names, Capacity (number of participants per Guild), and Distribution (ratio of tax distribution in the Guild Alliance. Then clicking on ‘Alliance Invitation’ will send invitations to the relevant Guild Masters of the registered Guilds logged on to the same server. -Supreme Guild can register Guild Alliance Emblem after purchasing [Guild] Emblem Certificate every Monday. The Guild Alliance Emblem and Name will only be exposed during Node/Conquest War, and upon occupation of the Node or Territory, the Guild Alliance Emblem and Name will be placed and displayed. -Invitations can be sent to the Guild Masters logged on to the same server to join the Guild Alliance. When sending the invitation, the tax distribution ratio must total at 100% in order for the Guild Alliance to be formed. -Supreme Guild, upon sending invitations, has to place quota on each Guild to fill in the required number of Guild Members joining the Guild Alliance. Supreme Guild cannot request quota on the number of Guild Members lower than the current number of the Guild. This means if the Guild that is invited has 30 members currently, you can request that Guild to provide 30 or more members to join the Guild Alliance. In addition, Guilds that accept the invite to join the Guild Alliance, while under the Guild Alliance affiliation, cannot accept new registrations to their Guild above the quota they have been given to fill. -If Guild A at 45/100 members has been invited and given the quota of 50 members to provide to the Guild Alliance, Guild A can accept only 5 more new members to their Guild for a total size of 50 members while the Alliance affiliation is maintained. -If Guild B at 20/100 members has been invited and required to fill in 20 members of the Guild Alliance, Guild B can no longer add members to its Guild while the Alliance affiliation is maintained. -Therefore, even the Extra Large Guilds can form a Guild Alliance. Again, the Guilds quota on members to join Guild Alliance with a number lower than the members they currently have is not possible. -If the Guild Master disconnects or changes servers when having received the invitation to the Guild Alliance, the invitation will disappear. All invited guilds must accept the invitation for that Guild Alliance to be formed. In order to send another invitation, the Guild Master of the Supreme Guild can cancel the current one and resend the invitation. -The Guild Alliance will be disbanded if one of the Guilds leave. However, it is not possible to disband from an Alliance while a Node or Territory is being occupied. -Guild Members of Guilds under Guild Alliance cannot apply for Militia. Guilds with Guild Members applying for the Militia cannot join the Guild Alliance. -For Node/Conquest War, construction of Fort/Command Post/Field HQ is only allowed by Guild Master or Guild Officer of the Supreme Guild, and Annexes can be constructed by any member of rank Quartermaster or higher of each Guild. When a siege building is purchased, Guild Funds from each Guild will be used. -All members of the Guild Alliance can use the Annexes during Node/Conquest War, but Elephant Nursery can only be used by Guild Members of the Supreme Guild. 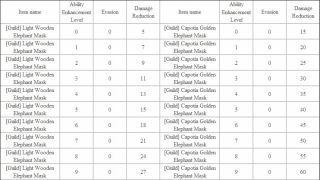 Elephants that are already obtained can be used by all members of the Guild Alliance. -Any elephants or galleys from the Guilds (except those of the Supreme Guild) are automatically left in the dock during Node/Conquest Wars, and cannot be used until the Node/Conquest War ends. -If different Guild Alliances declare war on each other, they can attack each other if it’s not Node/Conquest War. ◈Savage Rift has been updated. -The time required to protect 1 ~ 25 stages of monster waves has decreased by 4 minutes. -As Conquer Savage Rift event has ended, the special 26th stage that was available with a 50% has ended. -However, for the much participation and appreciation shown for this special content, the 26th special stage will be added as a permanent content with a slight change in specs. -The 26th special stage will open up with 40% chance. -The 26th stage will open up at 100% if Saunil appears. -Make sure you are fully prepared for the 26th stage as it will be very difficult to overcome. -Ogre Ring has been added to the loot list of the Savage Rift Reward Box that can be obtained upon successfully protecting the Sealed Tower in the 26th stage. -It has been added that hitting Cyclops with the [Savage] Lynch Cannon would apply Stun at 50% chance. -Knockback Resistance has increased for monsters in Savage Rift. -The installation time for the following has decreased. -Barricade: 5 sec. -	> 2 sec. -Hwacha, Flame Tower: 10 sec. -	> 5 sec. -Iron Barricade: 10 sec. -	> 5 sec. 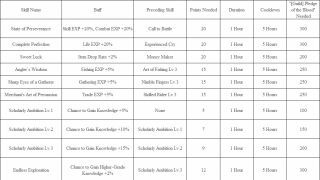 ◈Combat EXP obtainable using Book of Training - Combat has been increased for the following level caps. ◈Node War rules will be changed with next week’s (September 12th) maintenance. -With the new changes being updated, all Node Wars will be reset. -Node War rules will be changed as follows. ◈From when the Node War ends, the Guild Master or Guild Officer will be able to take in admissions of Guild Members to join the next Node War. -The Guild Master or Guild Officer will be able to take in admissions of Guild Members to join the next Node War using the Recruit/Closing button available on the bottom part of Guild Member Status window in Guild (G) window. -Chance to Occupy of the Guild Member Status will change to participation status where Guild Members can apply to participate in the next Node War during the recruiting period. -The Guild Member can choose whether to participate or not freely until the deadline of the recruiting period. -The deadline of the recruiting period of guild members to participate in the Node War will be decided by the Guild Master or the Guild Officer. Once deadline is up, no more requests to participate can be received from Guild Members. -However, Guild Master and Guild Officer can decide on More Member from the confirmation window to join and finalize the Guild Members to fight in the Node War. -After the Closing button has been pressed by the Guild Master or Guild Officer, only the Guild Members who have been recruited already plus the More Member will be able to join that day’s Node War. -At maximum 5 More Members can be selected and after final confirmation, no other adjustments can be made. ◈Depending on the number of participants, the Guild Master or Guild Officer will select which Node to participate in, build a Fort, and gear up for war! -Recruitment period and building of the Fort must be completed before 20:00 UTC to be eligible to participate on that day’s Node War. 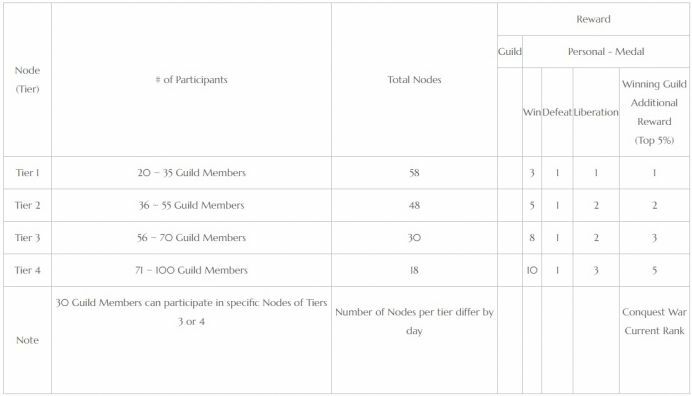 -The final number of the participating Guild of Guild Members + More Member will decide which Node can be selected. Upon building a Fort on a relevant Node, your Guild will be considered to be participating in that Node War. If your Guild withdraws a Fort already built, everything will reset and your Guild will have to start from recruitment again. ◈At minimum 20 Guild Members (participants + More Member) must be confirmed to participate in a Node War for the Node War to begin. ◈From 18:00 UTC ~ 20:00 UTC for EU and 01:00 ~ 03:00 UTC for NA (same as before), Node War will be progressed, and during the Node War, no other participants may join. ◈Once the Node War concludes, rewards will be given out based on the result. 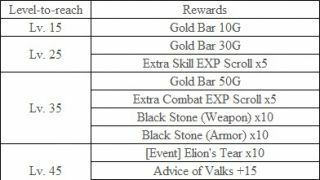 -Guilds will receive Guild Funds depending on tier of Nodes occupied. 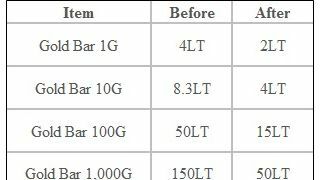 (Ratio based on total amount allocated on the specific Node). -The participating Guild Member will obtain a Medal depending on the result. -Medal can only be sent out via in-game mail and it can stay in the mailbox for a period of 1 week only. -Please make sure you are aware that you are considered to be participating in the Node War during the Node War only. After the Node War concludes, you will be considered as non-participating as the recruitment to the next Node War can be opened up right after. 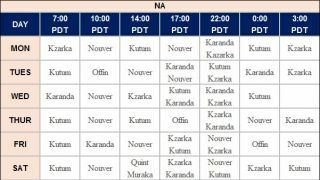 ◈In order to participate in the Conquest War, at least one or more Tier 3 or Tier 4 Nodes must be occupied. 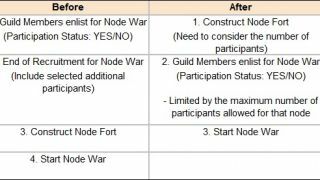 ◈Node War participation will be finalized only after a Fort is built by 20:00 UTC, after registration to the Node War is confirmed. ◈War Status under the Guild window (G) will be changed to Conquest/Node Status and on this section, the contribution of the Conquest/Node Wars progressed on that day will be shown. -Contribution will be recorded based on the following actions during a Node/Conquest war. 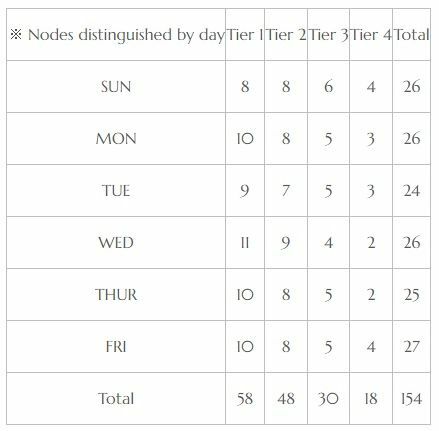 ◈The top 5% of the participants who contributed most to the Node War will be rewarded a Medal. ◈The 1st place adventurer (with most contribution) in the Node War will given a special reward additionally and this will be sent via in-game mail. This special reward must be claimed within 1 day after it has been sent. 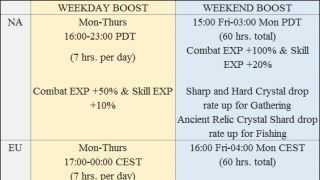 -Tiers 1, 2: HP increase by 300 for 24 hrs. 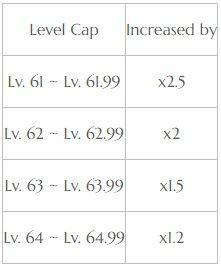 -Tiers 3, 4: HP increase by 500 for 24 hrs. ◈The Medal is a special reward that is rewarded based on your contribution to the Node War and you can exchange the Medals for various items from a Skill Instructor NPC of each village. ◈Any abusing/violation of and related to the Medal may result in a restriction of your account. ◈Controls on Swimming has been made more convenient. -Navigation will now be available by pressing the T key. as you would perform Auto Run on ground, you can press the T key to perform Auto Swim. -When Navigation is activated, press T key to automatically swim to your destination. -If your Stamina is over 300, press the Shift key to swim faster. -If your Stamina is below 100, pressing T key to Auto Swim will only activate the motion to recover Stamina, and your character will start swimming again if the Stamina recovers to over 1,000. -Auto Swim can only be performed on the surface of the water and if you have dived down, you cannot perform Auto Swim. ◈Changing directions has been made easier when Swimming/Diving. -It will now be possible to move backwards diagonally. -The character will react faster to the directional arrow input of your control. ◈Keys to allow you to dive up or dive down while diving have been added. -While having pressed the Forward key ‘W,’ press ‘E’ to dive up. -While having pressed the Forward key ‘W,’ press ‘Q’ to dive down. ◈Stamina has increased by 50% of when the character takes Stamina recovery motion. -If Stamina is below 100 while floating on surface of the water, the character will now take the Stamina recovery motion automatically. ◈It has been fixed that the sound effect that comes out for success or failure of Courser Awakening would come out correctly. ◈Fixed the issue where the character would perform a walking motion inside Junaid River instead of swimming. ◈Fixed the issue where the crown mark of a Guild that conquered Valencia would come out in silver color. It has been changed that the selling price of the Basteer Sub-weapon would not be displayed in its item tooltip. ◈Fixed the issue where reconnecting to the game after being disconnected from the client during an action regarding World Map (M) would intermittently bring up the World Map (M) again but no control keys would work on the World Map. ◈The busking music near Marketplace in Velia and the square in front of Heidel Fountain will now be controllable properly. ◈Fixed the issue where the character would fall into the rock at a certain location in Roud Sulfur Works. ◈Fixed the issue where the character would fall down through a platform at a certain spot in the building with a lift in Keplan. ◈Fixed the issue where light would rush in through the ceiling on the inside of Mediah Castle. ◈Fixed the issue where the sea would appear too dark during late night or too bright in daytime in Remastered Mode or Ultra Mode. ◈Navigation has been improved near Castle Wall of Cron Castle. 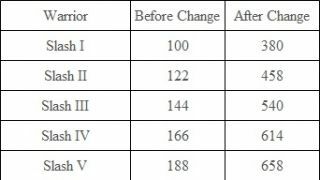 ◈Chapel 3-5, 2F in Calpheon has been fixed to allow entrance normally again. ◈Market Street 4-4, 1F in Calpheon has been fixed to allow entrance normally again. ◈Market Street 2-3, 2F in Calpheon has been fixed to allow entrance normally again. ◈Altinova 10-3 has been fixed to allow entrance normally again. ◈Fixed the issue where the character got stuck and couldn’t escape after falling down from a spot near Grána 6. ◈Some resources for Gathering has been changed to be gatherable once in the Abandoned Land. ◈Fixed the issue where some of the Goblin NPCs appeared to be underground in Western Guard Camp. ◈Fixed the awkward camera perspective when interacting with Origin of Clear Water in Glutoni Cave. ◈It has been changed that changing the direction and moving the Fishing Boat would both be possible at the same time when the Fishing Boat was stationary. ◈It has been changed the changing directions would be possible when moving the Fishing Boat backward. ◈Fixed the issue where movement would stop by pressing ‘S’ key while the Fishing Boat was on the move. ◈It has been changed that when the Ship’s Sail would become transparent, it would appear slightly darker. ◈The following system message will now be displayed when clicking on the Ship icon and the Ship would be unavailable or too far away. -You are either too far from the ship or the ship is not usable. ◈Fixed the issue where the character performing carrying motion to load trade items on the character’s back could board onto the wheel of the Galley, Epheria Sailboat, Epheria Frigate, and Old Bartali Sailboat. ◈The motion blur that occurred during sprinting on a horse has been mitigated. ◈The maximum input of key commands in a certain period of time has been set in order to fix the issue of characters’ skill combos being activated at different rates depending on how fast a key command is inputted on a keyboard or how good a computer's hardware performance is. -Eventually, it may be possible that the amount of Milk obtainable at once from ‘Milk a Cow’ mini game may be less than before with certain high end PCs. -As a result, the amount of Milk that can be obtained once has been increased by approximately 50%. 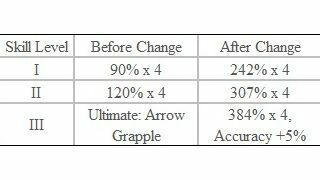 ◈Fixed the issue where defense effect of Grapple was not being applied correctly when using Grapple skills. ◈Fixed the issue where the character’s teeth would turn black in Remastered Mode. ◈It has been changed that the character would face the front in the first log-in. ◈[Ranger] Atanis Helmet graphic has been fixed to show the veil part correctly. ◈[Sorceress] Atanis Helmet graphic has been fixed to show the veil part correctly. ◈Fixed the graphical awkwardness on the thigh area with the basic outfit in combat mode. ◈[Tamer] Atanis Helmet graphic has been fixed to show the veil part correctly. ◈[Valkyrie] Atanis Helmet graphic has been fixed to show the veil part correctly. ◈Fixed the intermittent issue where Detonative Flow would not be activated when using Sprint in Aad Sphera mode. ◈It has been changed that a successful Fissure Wave (Black Spirit’s Rage) skill will now knock the target off the mount. ◈Added the text “Pushes the target on good hit (Only PvE)” to the skill tooltip of the skill Fissure Wave. 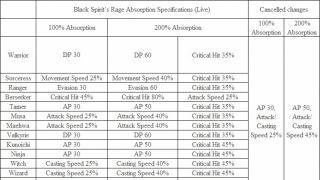 ◈It has been changed that a successful Aqua Jail Explosion (Black Spirit’s Rage) skill will now knock the target off the mount. ◈Fixed the graphical issue where brightness in the teeth of the Wizard would appear differently depending on facial expression in Remastered Mode. 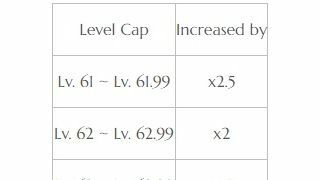 ◈It has been changed that the skill Absolute: Blooming could be used during cooldown of Chase I. ◈[Maehwa] Atanis Helmet graphic has been fixed to show the veil part correctly. ◈Fixed issue where the graphical quality difference could not be seen from Medium to Very High Display Quality setting upon wearing the [Maehwa] Lucien Blanc Armor. ◈The skill description of Black Spirit: Bloodthirst: Katana Shower has been edited to sound more accurate. ◈Cooldown of the skill Ninjutsu: Block Jump has been increased from 10 sec. to 18 sec. ◈Fixed the typo in the skill Black Spirit's Rage: Bloodthirst: Katana Shower. 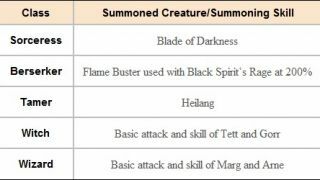 ◈Fixed the issue where Bound effect would not be applied upon a successful upper slash attack of the skill Black Spirit: Sudden Decapitation. ◈It has been changed that the skill Black Spirit: Sudden Decapitation could be used during the skill’s cooldown. ◈The text “Kunoichi Exclusive. Black Spirit's Rage available” has been added to the skill description of Shadow Clone. ◈Fixed the issue where Damage Reduction effect of the blade would not be applied in PvP when using the skill Serpent Ascension. ◈Description of skills that use Black Spirit’s Rage will now be displayed in a separate window. ◈Fixed the issue where the damage of the skill Flash Slash launched with Black Spirit’s Rage was stacked with the damage of the previous skill of the lower levels. ◈Fixed the graphical awkwardness in the right shoulder of the Dark Knight after equipping an Awakening Weapon with the Ahon Kirus outfit on. ◈Fixed the graphical glitch on the chest area with the Crown Eagle Armor on during a specific customizing for the Dark Knight. ◈Fixed the graphical awkwardness in the wrist and shoulder area upon wearing Calpheon Noble Dress. ◈Fixed the graphical awkwardness in the shoulder area when lying down with the Calpheon Noble Dress on. ◈Fixed the issue where the dyeing would wear off in Crimson Glaives standby mode with the Calpheon Noble Dress on. ◈Fixed the graphical awkwardness on the wrist area with the Terrmian Casual Wear on. 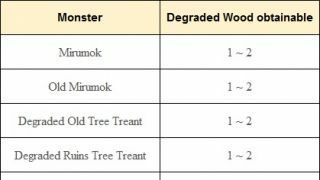 ◈Port Epheria Wharf Manager Srulk will now offer the following addition in his Amity Shop. -You need to have at least 300 Amity points to access the Amity Shop with the relevant NPC and upon purchase of the Ship License, Amity Points will decrease by 300. ◈Magic Crystal of Infinity - Critical has been renamed to Magic Crystal of Infinity - Critical Hit. -In the item tooltip, ‘Additional Critical Hit Damage +10%’ has been changed to ‘Critical Hit Damage +10%’ but the actual item effect will stay the same. 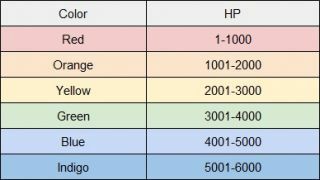 ◈Crafting methods of the following have been added to the Costume Mill. ◈Oil for Lantern will no longer be offered for the Challenge ‘Play Everyday and Earn Loyalties!’ found under the Challenge tab (Y). ◈Atanis Firefly will now be sold from Jensen the General Goods Vendor of Behr. ◈It has been fixed that the same Pearl item cannot be placed into Set Creator if it is already in one of the slots. ◈The following items will now be able to be sold in Shops. 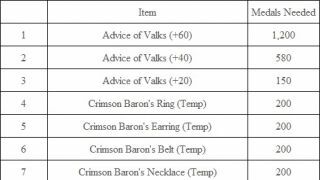 ◈Outfit Extraction (for Cron Stones or Valks’ Cry) will not be available for temporary items with day limits, for example [Witch] Crown Eagle Armor (15 Days). ◈For details on newly added Pearl Shop Update, please click < Here > ! 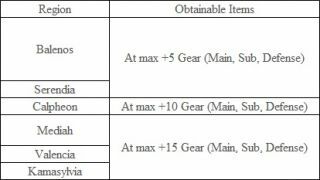 ◈The drop rate of Black Stone (Armor) from the following monsters of Navarn Steppe has increased by 30%, and Griffon Beak and Black Leopard Fang items will be obtainable at max 2 each. ◈Text abbreviations will now take effect for sub-category buttons for the items offered in the Pearl Shop when the text is too long for the space. ◈New Story Quests to gain you access to Aakman and Hystria instantly have been added. ◈After completing each story quest, you will have to pay a small toll of Black Spirit's Claw x1 to NPC Atosa to gain access to Aakman and Hystria right away. ◈The quest description of the Suggested Quest ‘Claus Can't Contain!’ on the Quest List has been changed to be more accurate. ◈Fixed the issue where the Prancing Lamb would go through a wall. ◈Fixed the awkward dialogues of the NPC when obtaining Knowledge of Alejandro Farm. ◈Fixed the issue where text regarding Movement Speed level was missing in the item tooltip of Jack-O'-Lantern Ornament. ◈The following text has been added to the item tooltips of the items that are deleted upon leaving a Guild. -※ This item will be erased if you leave a Guild. ◈Rulupee has finally completed preparing the surprise reward for adventurers who complete all of the Rulupee Travels quests. 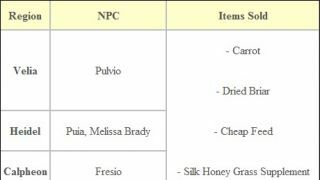 -Upon completion of the final quest ‘Back to the Daily Routine: The End,’ you can receive Edan/Orwen’s Travel Wear Box through the quest ‘Gift of Memories’ offered by Rulupee. ◈Navigation of consecutive quests of the Rulupee Travels has been improved. ◈Fixed the issue where Navigation of the following quests was directed to another quest. -What's Wrong With That Guy? -What's Wrong With That Adventurer? -You Looked at Me First! -Let's see who will win! ◈It has been improved that Navigation would lead to the shortest way during the consecutive quests of The Weird Devices. ◈The Quest Completion location has been changed for the quest Village of Foggy Lights: Glish. ◈Lanterns as the reward and content of the quest Tiny Light to Drive Out the Darkness has been changed to Atanis Firefly. ◈Fixed the issue where the quest Off To The Next Adventure I and following quest icons would appear as the Black Spirit in the Rulupee Travels. ◈My Information (P) window has been renewed. ◈Fixed the issue where texts of Family Fame, Combat Fame, Life Fame, and Special Fame overlapped on My Information (P) window. ◈Fixed the issue where setting the Interface size at 100% would not be saved in Settings. ◈As the Lantern item has been removed from the game, Remove Others’ Lanterns under Display Quality under Display Settings has been removed. ◈Fixed the issue where HP/Resource Bars were not appearing when describing HP/Resource Bars during tutorial without having used the ‘Custom HP Bar’ option. ◈The system message that tells you to brighten up the dark with a Lantern has been changed to state to brighten up the dark with Atanis Firefly. ◈The button size of Caphras Enhancement has been increased in size in order to fix the text going out of the box issue from the Enhancement window. ◈It has been changed that Wi-fi shaped icon of the Party UI would display a ‘X’ if the character does not receive the benefits of being in the Party for being too distant from other Party members. ◈Fixed the issue where the Quest Widget continued to be activated intermittently even when there was no Quest accepted. ◈Fixed the error that occurred when Consecutive Quest would be displayed in the Main Quest widget. ◈It has been changed that the background of the Ancient Light item would be transparent. ◈It has been changed that pressing Maximize button would increase the screen to full screen mode when the introductory video is playing after creating your character. ◈It has been fixed that Extract function with a Blacksmith NPC would still be available even when the character was attacked. ◈Saved settings of the following UI will be implemented properly even after closing UI Setting and reconnected to client. ◈Fixed the issue where the camera perspective was awkward during cut scenes in Remastered Mode or Ultra Mode. ◈The red tone light of the Atanis Firefly has been readjusted to shine a white tone. ◈Fixed the graphical issue that occurred in the shadow of the Valencian Desert. ◈Fixed the issue where the item [Jukebox] Spring of Balenos appeared too bright in Remastered Mode or Ultra Mode. ◈Fixed the issue where the HP bar would be duplicated upon death in Platoon. ◈It has been fixed that texts of Character Name, Family Name, and affiliated Guild Name will not overlap in Ranking window. ◈It has been fixed that texts of Family Fame, Combat Fame, Life Fame, and Special Fame will not overlap on My Information (P) window. ◈Fixed the issue where the Guild Mark of a Guild would not be displayed intermittently on the Node the Guild has occupied when applying Node War Information filter onto the World Map (M). ◈Fixed the issue where the gifting icon was displayed in the Pearl Shop for Pearl Boxes. ◈Fixed the issue where the minimap would not be displayed until the character reaches level 7 if the tutorial is skipped right after it was created. ◈Fixed the issue where client would crash intermittently under certain conditions while character is moving. ◈Fixed the issue where the quest ‘Gift of Memories’ in the Rulupee’s quests was not being accepted properly. ◈We are aware of the issue where ‘Time Passed’ or the playtime for the day is not showing up properly under My Information (P). Please give us your patience and we will resolve the issue soon. ◈We are aware of the intermittent issue where a Wagon cannot complete Transport. We are looking into resolving the issue right away. For the time being, please retry Transport after changing servers if your Transport is stalled for a long time and your Transport cannot be completed. ◈We are aware of the issue where the passenger on the back seat of the Guild Elephant could inflict abnormal amount of damage. We are looking to resolve the issue right away. ◈We are aware of the issue where the shadows look awkward when Display Quality in Settings is set at Low, Very Low, Lowest/Optimal, and Remastered mode. We will resolve this soon. ◈We are aware of the intermittent delay in Key input and Interact (R) Key. We will look into the issue right away. 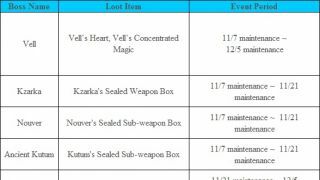 We have confirmed that after the maintenance of 29 August, it was possible for Cron Stones and Valks’ Cry to be extracted from the [Lahn] Lahr Arcien (15 Days) outfits. We initially blocked the use of these items to prevent abuse. We’ve now corrected the issue and restored the use of [Lahn] Lahr Arcien items. 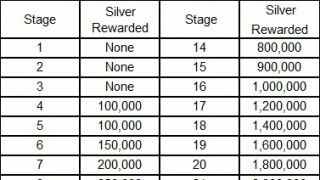 We have removed the silver gains from adventurers who have extracted the items. 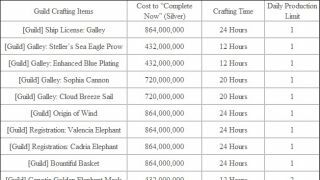 The amount that was taken away was the relevant item’s marketplace value in silver. The extracted [Lahn] Lahr Arcien (15 Days) outfit has also been restored and sent via in-game mail. Those adventurers who could not enjoy their [Lahn] Lahr Arcien (15 Days) items due to this, will receive a new set via in-game mail.